Ted’s Montana Grill serves time-honored American favorites in an atmosphere inspired by the hospitality, food and spirit of the Old West. Our mission is to give guests a fresh, authentic and original experience with every visit. 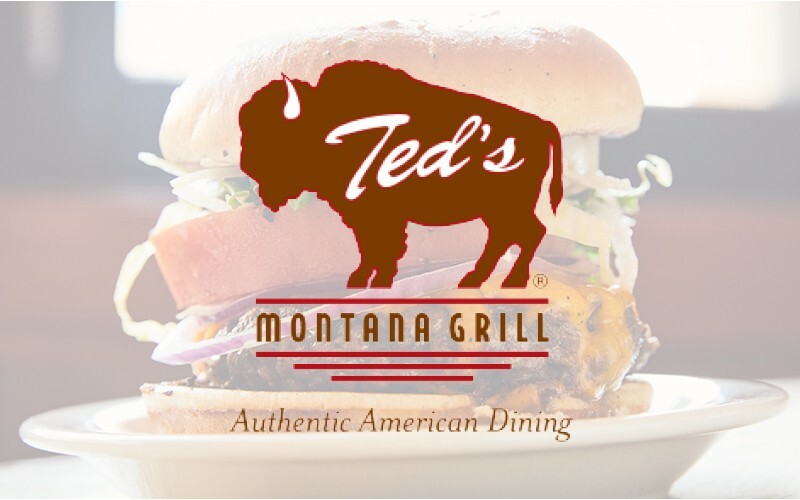 Ted’s Montana Grill’s made-from-scratch menu is known for premium hand-cut steaks and gourmet burgers. Specializing in Bison, the menu also offers a variety of time-honored favorites such as Bison Meatloaf, Cedar Plank Salmon, daily soups, seasonal vegetables, and house-made desserts.